Yana Wilson, 12, has already won about 90 golf tournaments during her career so she was fairly relaxed heading into the 2019 Drive, Chip & Putt competition held at Augusta National as part of the Masters. Pretty heady stuff for anyone, but Wilson maintained her composure and finished with a combined score of 28 to win the 12-13 girls age group. Milan Norton, also from Southern Nevada, finished second in the 7-9 girls age group. “Just relax under all the pressure and have fun,” Wilson told Golf Channel reporter Charlie Rymer immediately after clinching the victory. 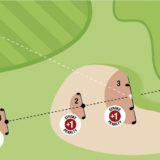 Wilson pounded a drive of 230.3 yards, had a best chip to within 1′ 11″ and a best putt to within 1′ 2″ to help clinch the win. She won convincingly as the runner up managed only 21 total points. 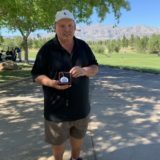 Wilson is an a dominant player in the Southern Nevada Junior Golf Association and on the Recruit Look Tour, seemingly winning each tournament she enters. She attends Bob Miller Middle School in Henderson and participates on the school’s club team as well. She is a proponent of the Youth on Course program, which allows youngsters to play some of the best courses for as little as $5. 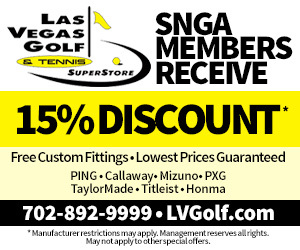 Juniors can earn the benefits by joining the SNJGA at SouthernNevadaJuniorGolf.com. Norton is a Faith Lutheran student and resides in Summerlin. She hit a drive of 135.1 yards and had a best chip of 5′ 5″ and a best putt of 3′ 3″ to finish runner up. Check out more about the duo from this recent Review-Journal article. The 2020 qualifier is May 29 at TPC Las Vegas. All details at DriveChipandPutt.com.